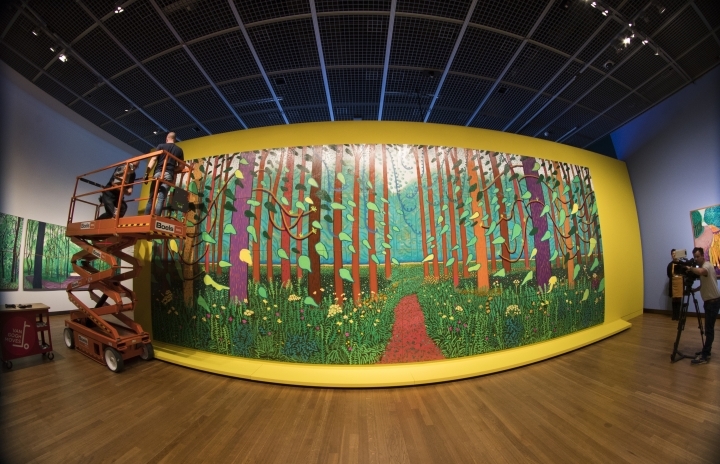 AMSTERDAM — A new exhibition at Amsterdam's Van Gogh Museum highlights the influences of the tormented Dutch master on the later landscape works of one of the world's greatest living artists, David Hockney. Van Gogh found beauty in the landscapes of France — from freshly harvested fields to trees ablaze with blossom — even if the darkness of some paintings also betray the mental anguish he could not escape. 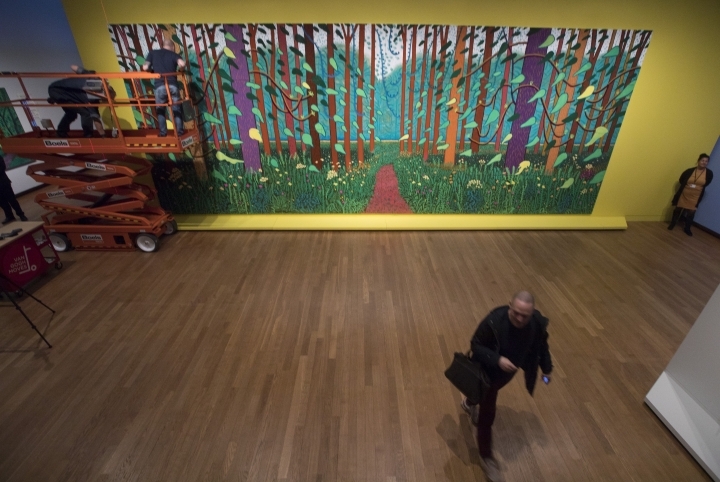 While the show demonstrates that Hockney has been influenced by many artists — such as Henri Matisse, Edvard Munch and Meindert Hobbema — the similarities between Van Gogh and Hockney can be striking. 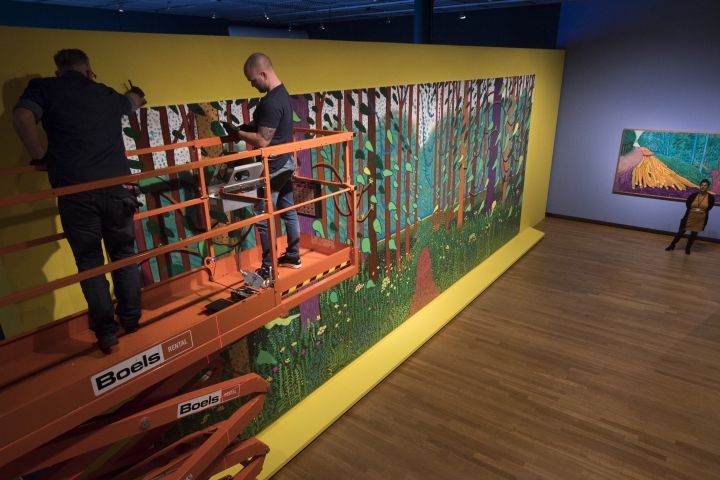 He added that both artists share a passion for innovation — Van Gogh created his own distinctive style by drawing on movements such as impressionism and pointillism, while Hockney has embraced techniques and technology including iPads, video and photography. 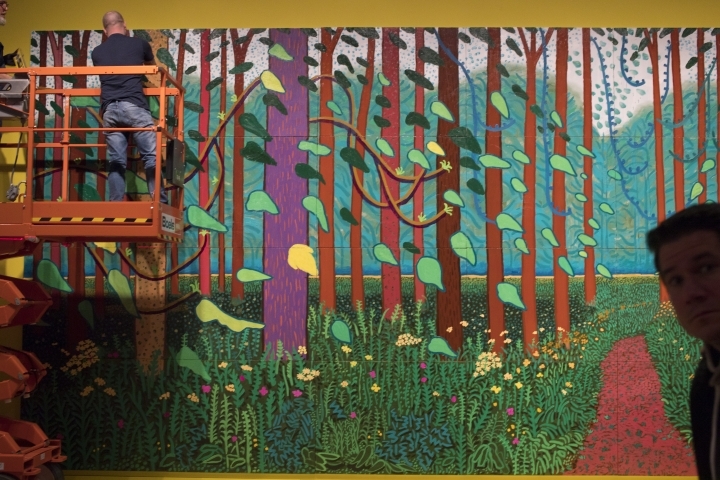 That work, with its bold colors and strong vertical lines, reflects Hockney's determination — like that of Van Gogh before him — to breathe new life into landscape painting.